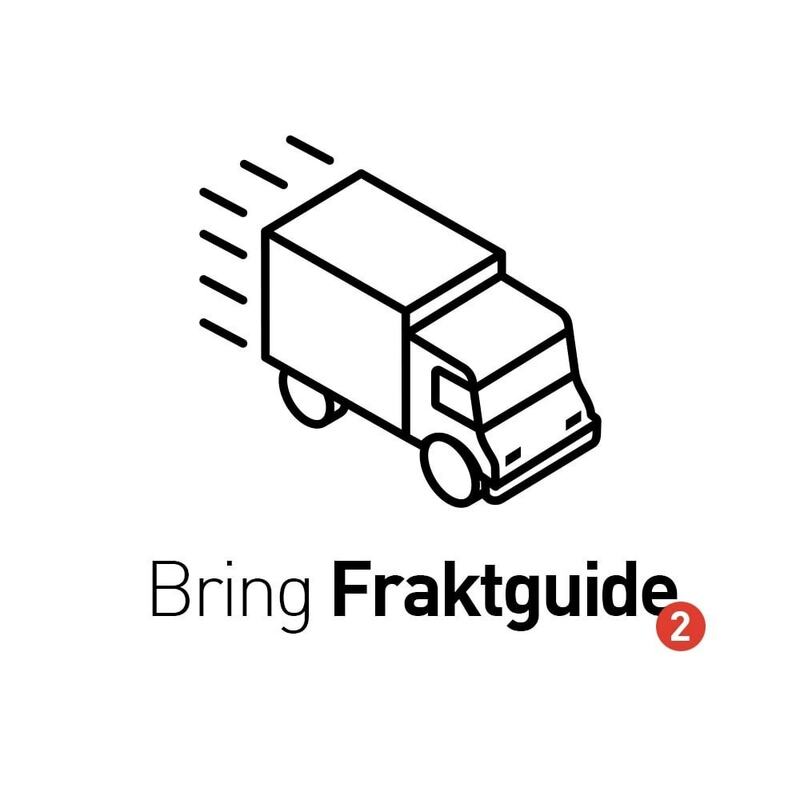 Bring FraktGuide always displays correct shipping options and prices for your customers, and it's seamless integrated with postal service from Posten Norge/Bring. This module will always display the correct price on shipping for your customers. Price and shipping options are based on weight and zipcode, and you can even customize and override the shipping rates. 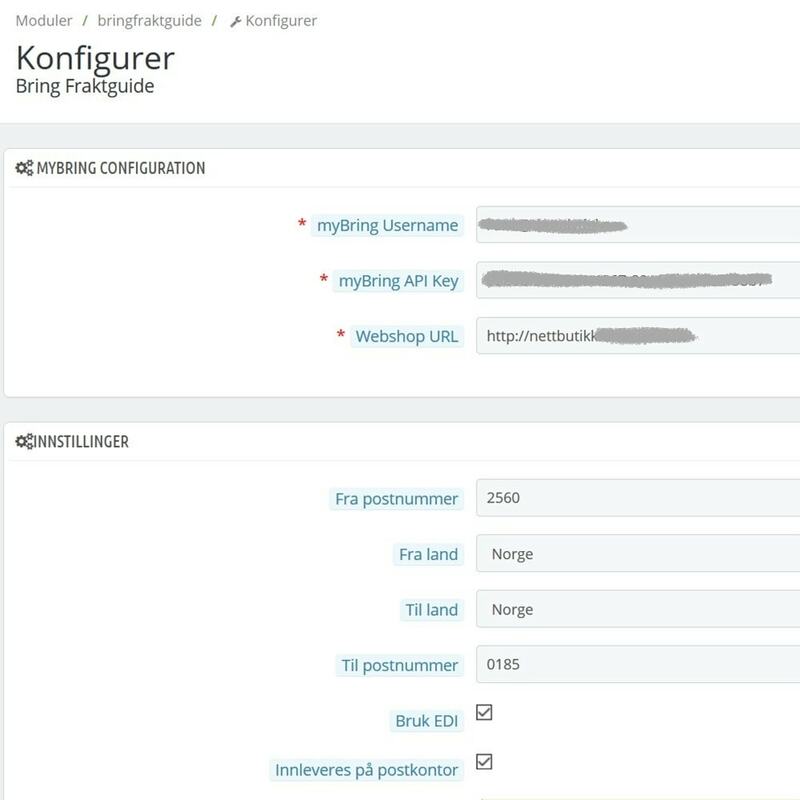 This module is an integration with Norway Post and Bring, and all data is collected from Bring API. 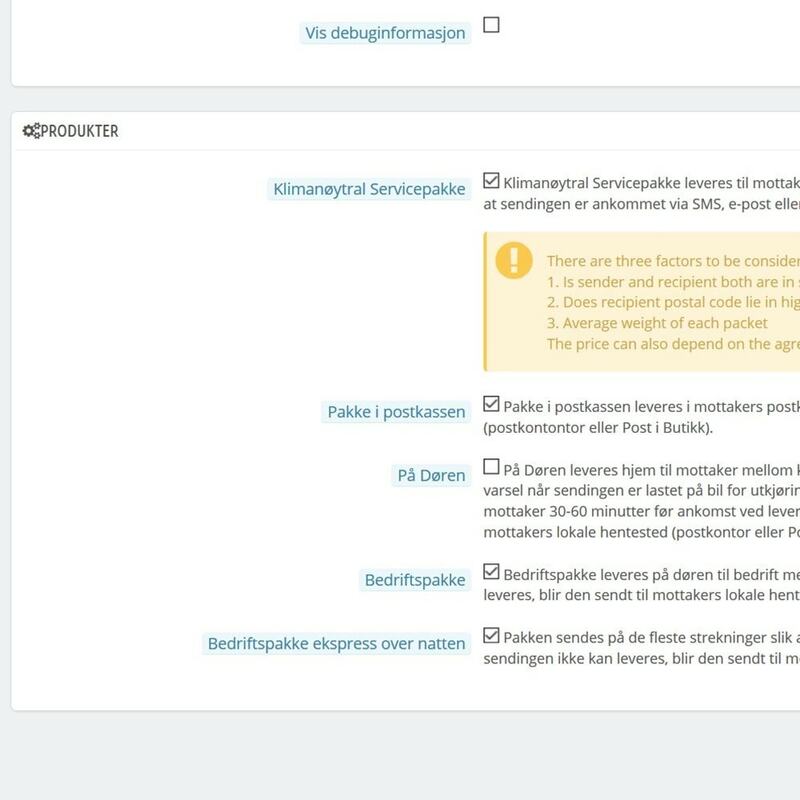 Module only applies to Norwegian webshops. 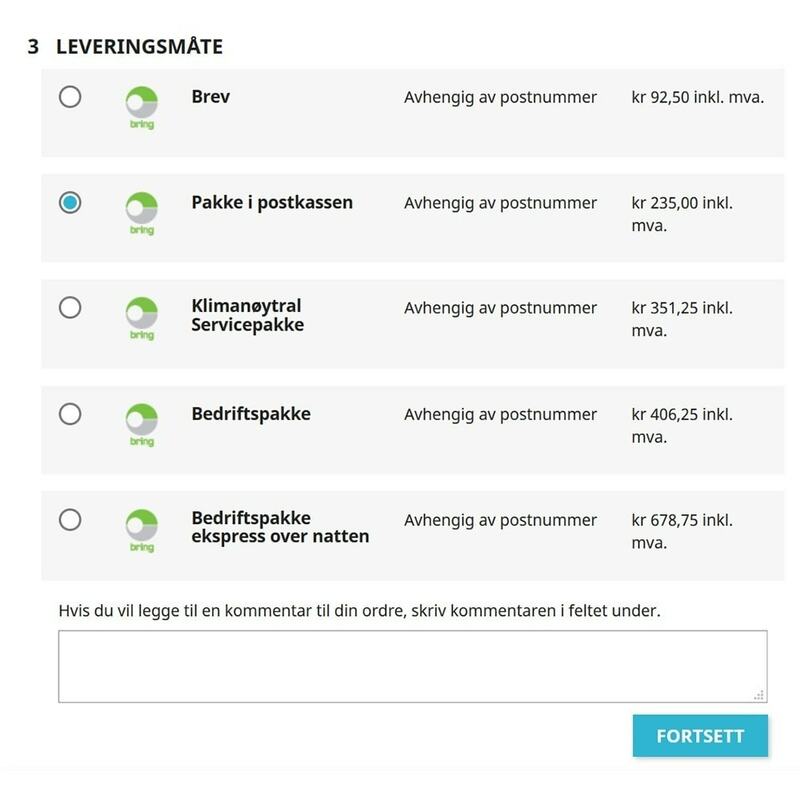 Support for "Pakke i postkassen"
Bring service is mainly for Nordic countries, but also works outside Scandinavia. 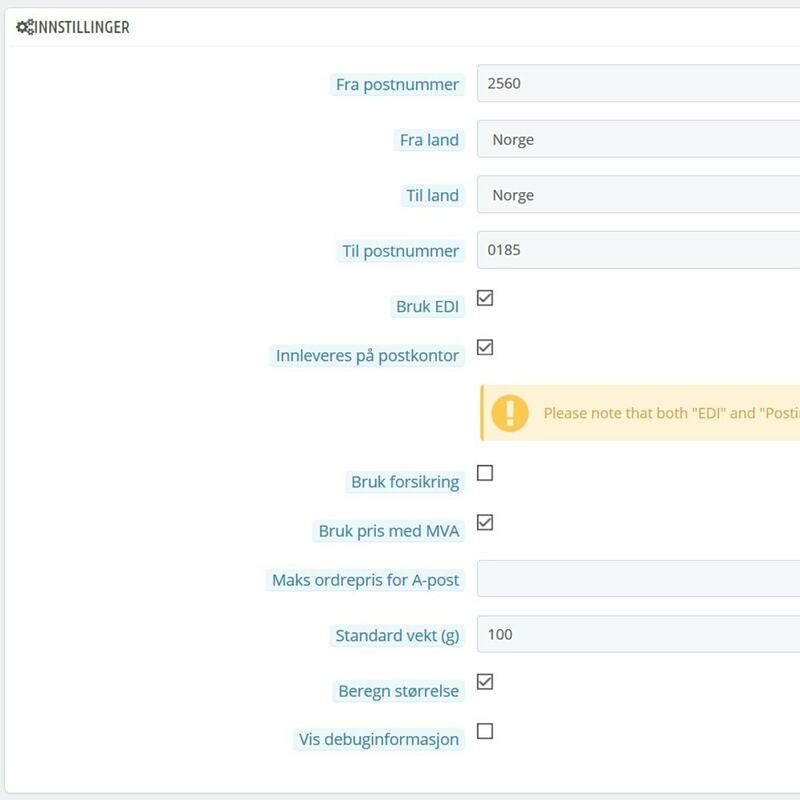 This integration is well known for other Norwegian webshops, and user will recognize the same layout. 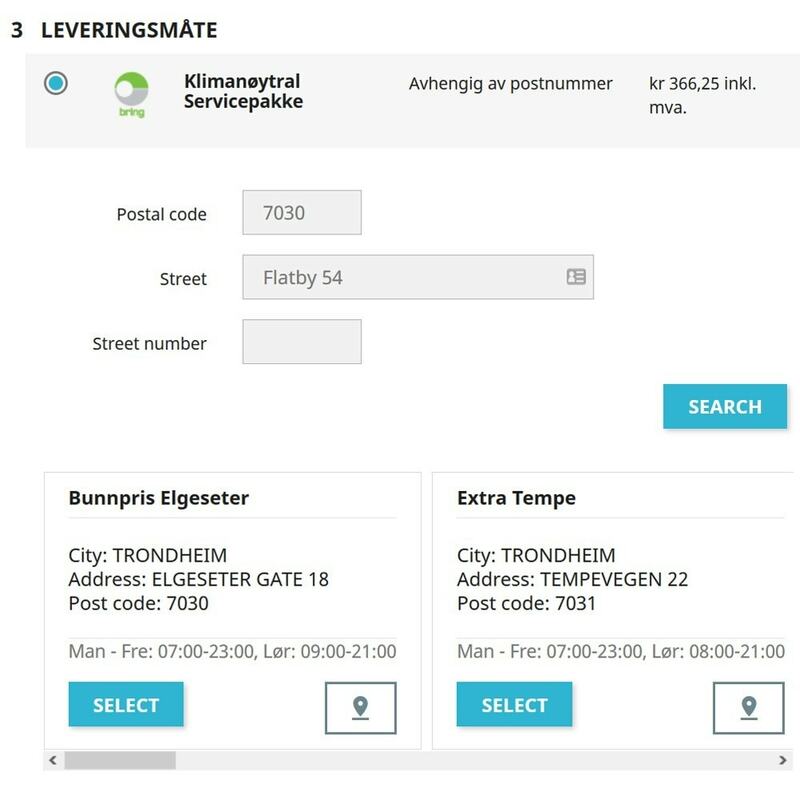 Customer can choose different shipment options, and the price is always updated with Bring/Posten Norge. 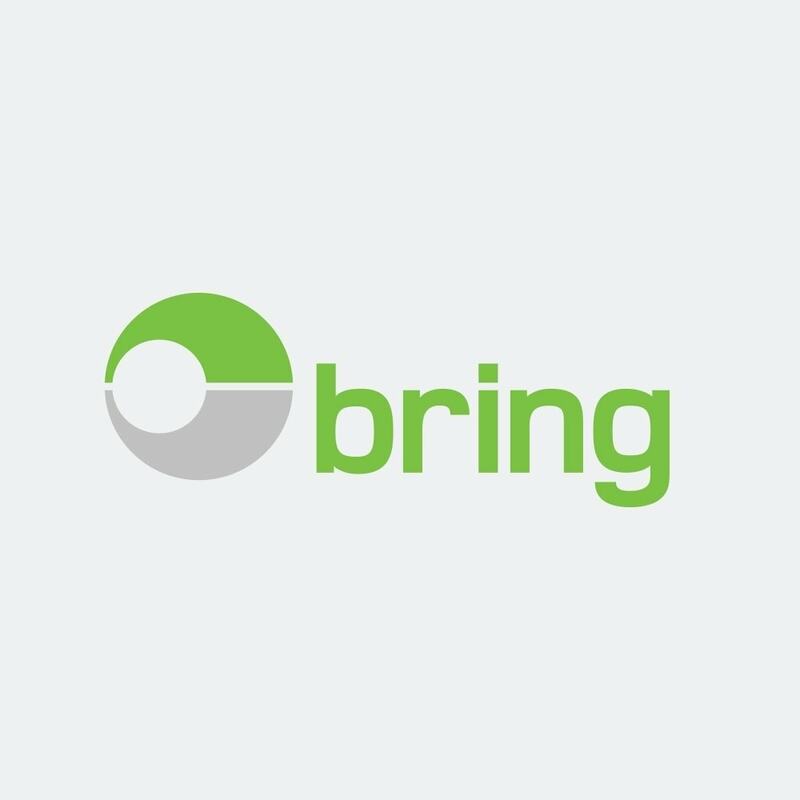 Module require an myBring API, which is free of charge. Install the module, and activate it. Please make sure to set module configuration before using the module. CURL must be enabled on webserver.